There are a few common marketing activities most real estate agents complete on a regular basis. They are letterbox drops, door knocking, networking events and cold calling. These activities are an important activity for many agents that consistently deliver new clients. The problem with these activities is they are not scalable. They all require a significant amount of the agents time. Their time is limited, so this puts a cap on how many networking events, cold calls and doors knocks they can make. Letterbox drops are also non-scalable. The return on investment for a letterbox drop is little, and they are expensive. So the limiting factor here is money. There are only so many letterbox drop campaigns a real estate agency can afford, and the conversion rate to new listings is disappointing. Realtors need to add scalable marketing activities to their current activities. 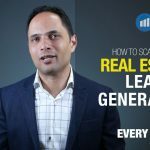 And the best scalable activity available today is real estate lead generation through Facebook Ads. Facebook Ads help scale your time and money. If you have a Facebook Ads consultant working on your campaigns, there is no time cost for your agents. 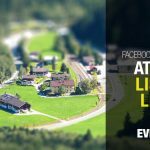 Even if you are running your own Facebook Ads, you can scale your time once you learn the right strategy. There is a massive learning curve up front, but if you get past it, you will see results. Financially, Facebook Ads are extremely scalable. You can reach thousands of local residences for as little as $10 per day. Even better, you can measure every interaction with them, and Facebook calculates the cost per lead. No other platform gives marketers that much insight into the money they spend on the platform. Facebook Ads allows you to scale your budget and your agents time in the real estate lead generation process. No other platform allows agents to generate the number of leads at such a low cost in such a short timeframe. 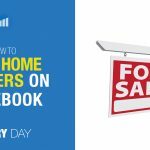 If you want to find out how Facebook Ads can help you generate more sales in your real estate agency, then book a Strategy Call with me today.